Truck driver shortages are increasingly a concern when it comes to keeping truck companies staffed. Just this past May, Fortune reported a shortage of qualified truck drivers could have an adverse impact on inland shipping costs, as there are between 35,000 and 40,000 too few qualified truck drivers to meet demand within the United States. Forbes referred to the shortage as a "slow-rolling crisis. Amidst the shortages, trucking companies may find themselves forced to hire drivers with less experience than they might otherwise prefer. Trucking companies, however, remain responsible for ensuring the truck operators they hire are qualified and able to keep motorists safe by operating vehicles in a responsible manner. If companies hire unqualified truck operators and those truckers cause accidents, the trucking company can be held responsible both for its negligence in hiring and for the careless actions of on-duty workers. An Atlanta truck accident lawyer can provide assistance in situations where a truck driver or trucking company should be held responsible for crash losses. Truck drivers are obligated to have a Commercial Driver's License, which is one way of ensuring they have a basic minimum level of skill to operate a truck without causing injury. The problem, however, is a CDL is not necessarily sufficient proof the trucker knows how to be safe on the road. CCJ Journal recently reported there was a fraud ring ongoing in five different Department of Motor Vehicle (DMV) testing offices throughout the New York City area. Applicant seeking a commercial driver's license paid between $1,800 and $2,500 in return for being provided with answers to the DMV's CDL exam. 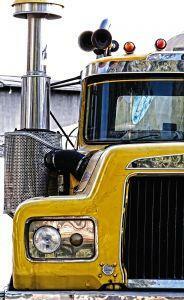 The fee also covered an "escortservice through the CDL testing process. The scheme was a high-tech one. Blue-tooth headsets were used as a communications device, and pencils were used that had been encoded with miniature answer keys to the tests. An external test-taker was also employed to complete the exams for the CDL applicants. Five people were found guilty in connection with the CDL testing ring after surveillance operations including remote cameras revealed the collusion to help the CDL applicants successfully pass their tests. Possible sentences for participation in the scheme could include as long as 20 years imprisonment. The Department of Homeland Security, as well as state authorities from the Attorney General's Office and the Office of Inspector General were all involved in bringing down the fraud ring because of the serious nature of the crimes. When unqualified drivers are given commercial licenses, these individuals can go on to operate trucks with a gross vehicle weight rating of as high as 80,000 pounds. Without the knowledge necessary to safely operate these vehicles, the crash risk is significantly increased. Trucking companies should not trust a CDL alone to be proof of competence when it comes to preventing truck crashes. Companies have an obligation to ensure drivers have reasonable skills behind the wheel, and the companies can be held accountable when drivers turn out to be unqualified and dangerous.